The Devotion of Suspect X proves that a good story can spawn a series of creative products crossing media and languages. In this case, a book in different languages (at least in Japanese, English and Mandarin), television show in Japanese, movies in Japanese and Mandarin. 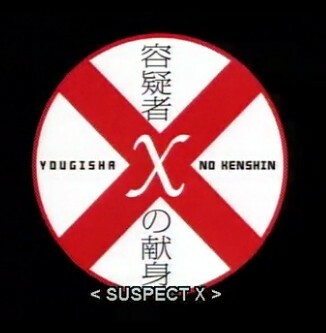 The Devotion of Suspect X was written by Keigo Higashino (东野圭吾) in 2005. It is the third book in the Detective Galileo series. The first 2 were a collection of short stories. This one was a full-length novel. It won numerous awards in Japan. It was translated into English by Alexander O Smith and into Mandarin by Taiwanese 劉子倩. I read the English translation since I can’t read Japanese. The story is not overly embellished or melodramatic. It tells the story in a rather matter-of-fact manner. I enjoyed the mathematical references in The Devotion of Suspect X.
I appreciated the author’s confidence in his readers to understand them too. Almost all the film adaptations failed to accentuate how the cover-up depended on mathematical thinking. The mystery began with a murder. A woman accidentally killed her ex-husband when he tried to beat her for money. Her neighbour Ishigami heard the noise and came over for a look. He was a quiet high school teacher who was also a brilliant mathematician. He promised to help her. A few days later, the man’s naked body with his face disfigured was discovered. The ex-wife was cleared because she had an alibi during the time the man was murdered. This is strange as the audience knew that she killed her ex-husband. So, how did the mathematician do it? And that’s the hook. To cut the long story short (spoiler alert), Ishigami killed a homeless man and manipulated evidence to mislead the police into thinking that this homeless man was the ex-husband. He instructed the woman and the daughter to go shopping and let as many people see them as possible. By killing a second victim and masquerading him as the husband, he created the perfect alibi for her. I watched Suspect X (容疑者Xの献身) before I read the book. I am familiar with the movie because I have seen the Japanese TV drama series called Galileo featuring the same characters. 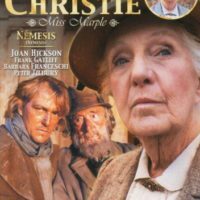 The series was based on the first 2 books of the Detective Galileo’s series. It stars Fukuyama Masaharu, Kou Shibasaki, Shinichi Tsutsumi & Kazuki Kitamura. Masaharu plays the genius physicist Professor Yukawa who helps a rookie police officer Kou to solve crimes with puzzling circumstances. For example, instantaneous human combustion, a haunted house, a death mask, and more. Professor Yukawa is always able to find the scientific explanation behind the strange phenomenon. Where Detective Kou represents emotions, Yukawa represents cool logic. I enjoy their bantering and interactions. I found the movie ending sad because Ishigami’s sacrifice came to nought. His despairing scream at the end of the movie was painful. The woman he was protecting, the woman who killed her ex-husband, came forward after Yukawa told her the truth. The sadness of it all. I felt like screaming too. If it was a Coen brothers’ movie, they would have let the murderers got away with it. But not the Japanese. Ethics and the law win the day. The movie succeeded in getting me to ponder about love and sacrifice. Ishigami thought he was displaying true love when he sacrificed himself for the woman he loved. True love is not to cover up or run away. True love stand ups and face judgement bravely. The Korean adaptation came out in 2012 and is called “Perfect Number”. This adaptation departed from the original substantially by taking out Yukawa’s character. It focused more on the psychology of Ishigami, making him out as a tortured soul. The Ishigami of the book didn’t really live in angst. He merely finds life meaningless because he wanted to connect to the world through Mathematics. The film has beautiful cinematography but is a tad too melodramatic for me. It has big shoes to fill and an angry mob of book fans to deal with. Unfortunately, it too made changes that affected the charm of the book. A reviewer said it is like a patchwork of the 2008 and 2012 adaptations. Trying to please too many and ended up pleasing no one. I found a Chinese review that compared the book and all 3 adaptations which I find sensible.